Following yesterday’s international Rare Disease Day, here is a snapshot of four new rare disease treatments currently under review by England’s cost-effectiveness watchdog. The last 20 years have seen a rapid increase in the number of drugs for rare diseases being developed and gaining European approval. These new therapies can transform the lives of patients, because for many of these conditions there has never been any licensed treatment before. However the high cost and sparse health economic data for orphan and ultra-orphan medicines means patients who could benefit have often come up against barriers to access. In the UK, intensifying pressure on NHS budgets led NICE to update its cost-effectiveness methodology in April 2017. For ultra-rare diseases, a new basic threshold of £100,000 per QALY has been introduced for most medicines, unless they greatly extend lives. Campaigners fear this new system will further increase England’s already “extremely slow and limited access” to treatments for rare genetic conditions. Despite these concerns, there was some good news in January when NICE recommended GlaxoSmithKline’s (GSK) ‘bubble boy syndrome’ therapy Strimvelis, at a price of £594,000 ($714,000). Strimvelis represents a fast-emerging therapeutic class, the single treatment gene therapy. It treats the ultra rare immune system disorder — also known as ADA-SCID — for which the number of eligible patients is very small, and just a handful of patients globally have been treated with the drug so far. This single cell and gene therapy model is undoubtedly the future, with orphan treatments such as CAR-T drugs from Novartis and Gilead/Kite and gene therapies such as Spark’s Luxturna on the horizon. 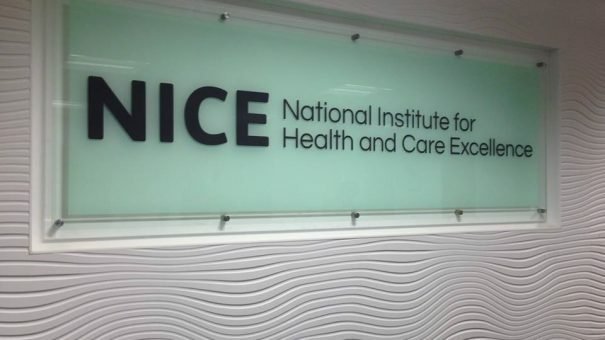 NICE had foreseen the health economic challenges, producing a model for cost effectiveness reviews of regenerative and cell therapies in 2016. Below is a list of the four drugs currently in NICE’s Highly Specialised Technology (HST) process. First is Ionis Pharmaceuticals’ inotersen, to treat patients with polyneuropathy due to hereditary TTR amyloidosis (hATTR). The drug has arrived in NICE’s HST review alongside its close rival, Alnylam’s patisiran. The two drugs are aiming for very similar patient populations, and have similar mechanisms, inotersen being an ‘antisense’ drug, while patisiran is an RNAi ‘gene silencing’ therapeutic. There are currently no drugs approved for familial amyloid polyneuropathy (FAP), which affects around 50,000 people globally and is also known as hereditary ATTR amyloidosis with polyneuropathy. In its phase 3 NEURO-TTR study, inotersen showed a significant benefit on both primary clinical endpoints of neurological disease progression and quality of life in patients with FAP. However inotersen has also been associated with a range of serious side effects. These include three serious adverse events of thrombocytopenia observed in inotersen-treated patients, with a larger group having to stop treatment because of renal problems. This may well have been a factor in GSK’s decision last August to not take up an option to co-market the drug with Ionis. By comparison, Alnylam has accumulated superior data in pivotal trials compared to Ionis, and has none of its rival’s safety concerns. Results from its phase 3 Apollo trial show patisiran, which is co-developed with Sanofi, reduced nerve pain in FAP. In regulatory approval terms, the two are virtually neck and neck: Alnylam’s drug looks set for approval on or before 11 August, while Ionis’ red letter day is just a few weeks before, on 6 July. European approvals for the drugs are set to follow by the end of 2018. 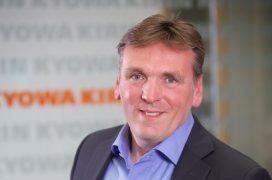 Ionis’ antisense technology and (in particular) Alnylam’s RNAi platform both look like exciting advances, and promise to transform treatment of a wide range of rare and not-so-rare diseases. Nevertheless, price will still be a major factor. Like many companies with rare disease drugs, Alnylam and Ionis are both bringing their first products to market, and have no experience in market access negotiations. All sides will be hoping that this, and tricky price and data negotiations, won’t present a barrier to access in the UK. Remarkably, volanesorsen is the second drug developed by Ionis on this shortlist, marketed by its Akcea Therapeutics division. Like Ionis’ other drug, volanesorsen is an antisense oligonucleotide drug, and works by reducing production of apolipoprotein C-III (APOC-III), a key regulator of lipoprotein metabolism and plasma triglyceride levels. FCS is a severe, rare disorder characterised by extremely high levels of triglycerides and the risk of recurrent, potentially fatal, pancreatitis, and for which there is currently no effective therapy. People with FCS are unable to effectively metabolise large, triglyceride-rich lipid particles called chylomicrons due to a deficiency in the enzyme which breaks them down. The drug was accepted for review by the EMA in July and the FDA in August, and has a Prescription Drug User Fee Act (PDUFA) goal date of 30 August, with a European final decision likely to be some months later. In October last year, volanesorsen was granted the special Promising Innovative Medicine (PIM) Designation by the UK’s medicines regulator the MHRA for the treatment of people with FCS. This allows suitable UK patients to receive the drug ahead of its final marketing authorisation – a valuable initiative which allows patients and doctors early access to the treatment. This could also be helpful in generating extra real-world data and first-hand experience of its benefits from UK doctors and patients. The final drug on NICE’s current list is Kyowa Kirin and Ultragenyx’s Crysvita (burosumab). It is also the first to gain EU approval; just last week the companies announced it had received conditional marketing authorisation in Europe. The drug is the first ever treatment licensed for X–Linked Hypophosphatemia (XLH) in children, and has received EU approval ahead of the US. European marketing of the drug will be overseen by Kyowa Kirin. The first commercial launch of Crysvita is expected to be in Germany in the second quarter of 2018, followed by other European countries. Dr Stratford said the company would now focus its efforts on working with health authorities to ensure patient access in European countries. The drug is currently undergoing FDA review for paediatric and adult patients with XLH, and the US regulator is expected to announce its decision by 17 April 2018. These four drug appraisals demonstrate just how far NICE – and NHS England, which oversees specialised medicines spending – have come in refining their health technology assessment and market access procedures. NHS England, in particular, is promoting the idea of greater direct negotiation and more outcomes-based deals between it and pharma companies to avoid delays to access, which can be hugely distressing for rare disease patients and their families. 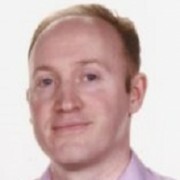 The solution undoubtedly lies in greater use of real-world data and managed access schemes, already being pioneered by other drugs which have gone through the HST route. One notable example of this is BioMarin’s ultra-rare drug treatment Vimizim, a £395,000-per-patient-per-year treatment, which gained NICE recommendation after much controversy and negotiation in 2015.